How Far is Gera Song of Joy? Gera Song of Joy where life tunes with a beautiful hymn. A luxurious residential development created by Gera Developers, one of the renowned real estate builders. Spread across 1.50 acres of land this venture consists of 3 towers with 100 units on 15 floors. 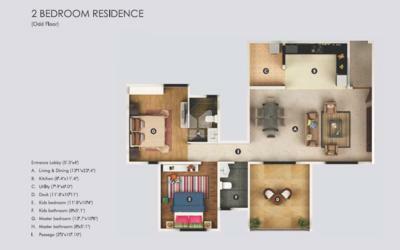 Skilfully designed 2 & 3 bhk apartments with spacious living rooms fit for modern living society. Surrounded by charming greeneries this venture lends a peaceful and serene atmosphere to reside in. This project includes state-of- the-art facilities and amenities provided by the builder for its residents. Some of these amazing features are badminton court, basketball court, cricket pitch, lawn tennis court, multipurpose court, swimming pool, yoga/meditation area, Jacuzzi, multipurpose hall, library, restaurant, landscape garden, rain water harvesting etc. Hurry! 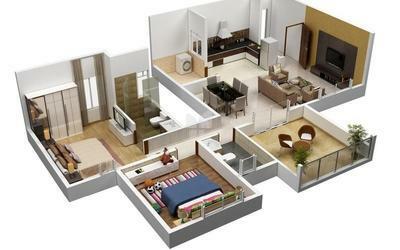 Visit this exclusive development and explore it yourself. Welcome to Gera Developments, creators of premium residential and commercial projects. We strive for excellence and our main objective is not just to meet the expectations of our customers' but to surpass them. The company entered the world of real estate in the year 1970. Since then, the company has delivered several projects that have become landmarks in their own right. After four decades of unwavering commitment towards innovation and service, Gera is today a force to reckon with. The company has spread their footprint across Pune, Goa and Bangalore by meticulously constructing and delivering over 50 projects, with close to 4 million sq.ft. of development. Our projects proudly stand as great examples of elegant designs and robust engineering. Gera Developments is a dedicated end-to-end real estate organization with in-house architects, engineers and construction crew. Our in-house interior design division enables us to design homes according to our customers tastes and preferences. The company has extended benchmarks in the real estate realm with their constant innovation techniques which are way ahead of time - be it India's first developer to offer a 5 year warranty (since 2004) or India's first ChildCentricTM project or Pune's first intelligent building. Bringing together intelligence and care, Gera hasn't just created living spaces, but rendered a distinct purpose and beauty to the space around us. We combine innovation with experience and hard work, to conceptualize and realize projects that anticipate the needs of the people who will live or work in the spaces that we build. We are proud of our reputation, within and outside the real estate industry as a reliable and respectable company, and we continue to live up to that reputation.